It is almost Christmas and Jeanne Marie is stuck at home with the chickenpox. 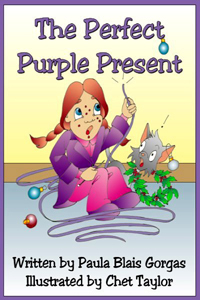 Just when it seems there is no way to get presents for the family, her grandmother helps her find the perfect purple solution. 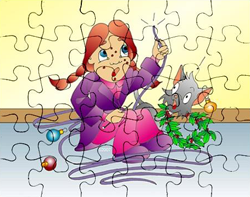 Treat a young reader to a perfect present with this jigsaw puzzle featuring Jeanne Marie. NEW! 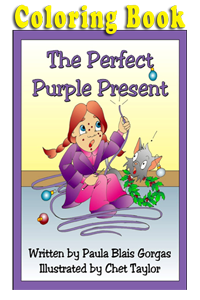 The ideal companion for the The Perfect Purple Present picture book. Patsy wants to be a movie director. She directs everyone in the family, including her dog, Pippin. Now her St. Patrick's Day Shamrock Pageant is about to begin, but the star is missing! 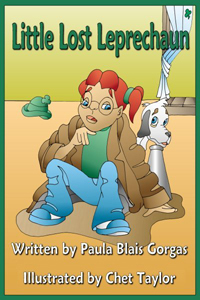 Can Patsy find another leprechaun in time to save the show? NEW! 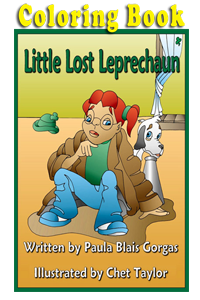 The ideal companion for the Little Lost Leprechaun picture book.